Keep your eyes healthy with the proper ongoing care. Your eyes are extremely important. Keeping them healthy should be a top priority. 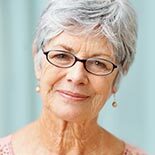 Here at Visions Optique and Eyecare in Scottsdale, we can help you care for your eyes. From eye exams to recommending the right prescription glasses, we can work with you to invest in the long-term health of your eyes. Schedule an eye exam with Dr. Uelner and her team at Visions Optique and Eyecare today. Why Choose Visions Optique And Eyecare? Proper eye care and regular eye exams are a critical part of your overall health. However, vision health is so much more than just maintaining your eyesight — your eyesight affects your entire body. Many health conditions can be detected early on when your eyes are examined. Eye exams not only check your eyesight, but they act as a preventative treatment for various eye diseases and conditions, like conjunctivitis, glaucoma, macular degeneration and ocular migraines, as well as diabetes, high blood pressure, high cholesterol, and heart disease. Dr. Tiffany Uelner and her staff at Visions Optique have been working in the optical industry for many years and have the knowledge and skills necessary to give you the best comprehensive eye exam possible. A comprehensive eye exam is an easy way to maintain your eyesight and prevent diseases. 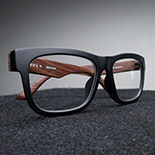 Depending on your eye and health conditions and if you wear contact or glasses prescription lenses, it is recommended that you get an eye exam every one to two years. These comprehensive eye exams also prevent vision loss and blindness, and can help correct any vision issues or diseases that are detected in your eyes. During your eye exam with Dr. Uelner at Visions Optique, your eye health will be examined from the eyelids to the retina. Dr. Uelner will also take measurements for contact and eyeglasses prescription lenses if you are needing prescription eyewear. 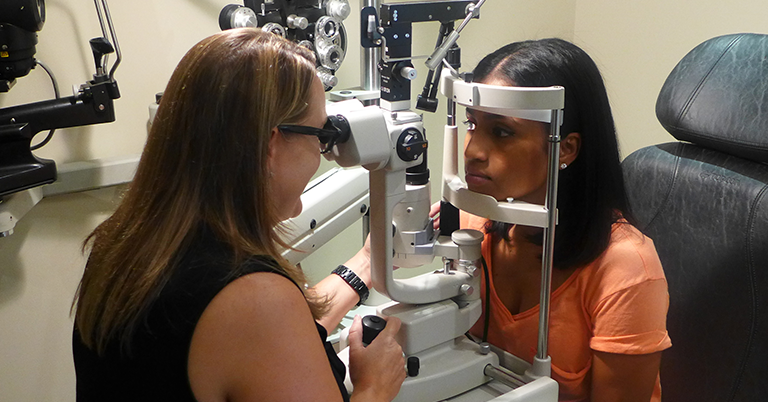 Visions Optique and Eyecare doctor Tiffany Uelner is an expert in eye disease treatment. Consistent eye exams are the best way to prevent diseases all throughout your body, including glaucoma, migraines, diabetes, hypertension, retinal holes or tears, cataracts and macular degeneration, among others. Your eyesight controls how you feel and how you perform in school and work. Many health conditions can be detected early on in your eyes, so it’s imperative that you schedule routine eye exams and evaluations to maintain your overall health and prevent blindness. Give your eyes and optical health the care and attention it deserves by scheduling an eye exam with Dr. Uelner and her team at Visions Optique and Eyecare. Whether you need a detailed eye evaluation or an updated prescription for your contact or glasses lenses, we can help you. Schedule your eye exam today!